Autumn: the time of year when every cook, I’m sure, has the same burning question: What kind of winter squash is worth the effort of peeling, chopping, and cooking? I mean, there are so many varieties for sale and they are all pretty tough to crack. Which ones taste the best?! In my Local Harvest cooking class (autumn version only), I aim to answer this very question. I comb farmers’ markets and supermarkets, using up the class food budget to buy every kind of winter squash-like or pumpkinish vegetable I can find. 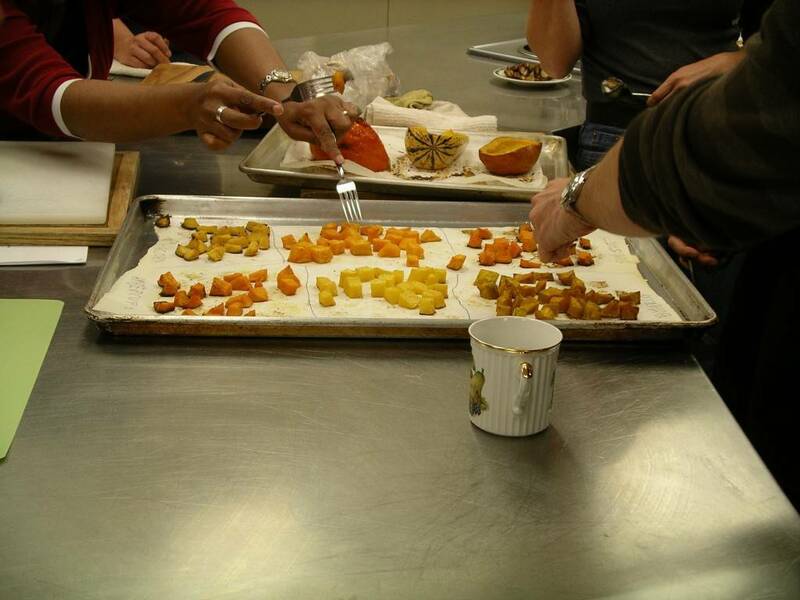 Before class I peel and chop a section out of every squash, toss with a bit of melted butter and salt, and roast on a parchment-lined-and-labeled tray (keeping each variety separate, of course). It’s important to taste every single squash. Every person needs to know which one is his or her favourite because winter squash are hard to cut into at best, and, at worst, are severely challenging to any cook with a less-than-perfectly-sharp knife. (All that work had better be worth it!) 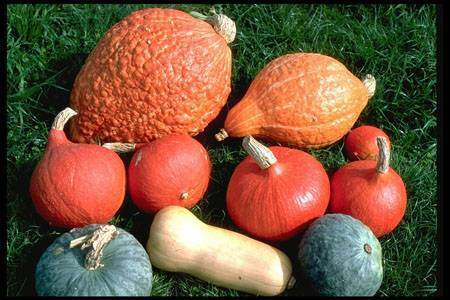 Despite sharing the blanket name of ‘winter squash’, they all vary in taste, texture, and colour. Turban Family (turban, buttercup, ambercup, kabocha, sweet mama) – these all have a squat, flattened shape, kind of like a flying saucer, occasionally a bit squared-off, and some have a small or large greyish ‘turban’ visible on the blossom end. They are all very flavourful and often sweet, but most are on the dry, dense side as far as texture is concerned. They make excellent soup, casseroles, and other dishes, but because of their drier texture they sometimes aren’t as good for plain eating. But I say this with reservations, because at least one of the top favourited squashes is in this category. Sugar Pie Pumpkin. 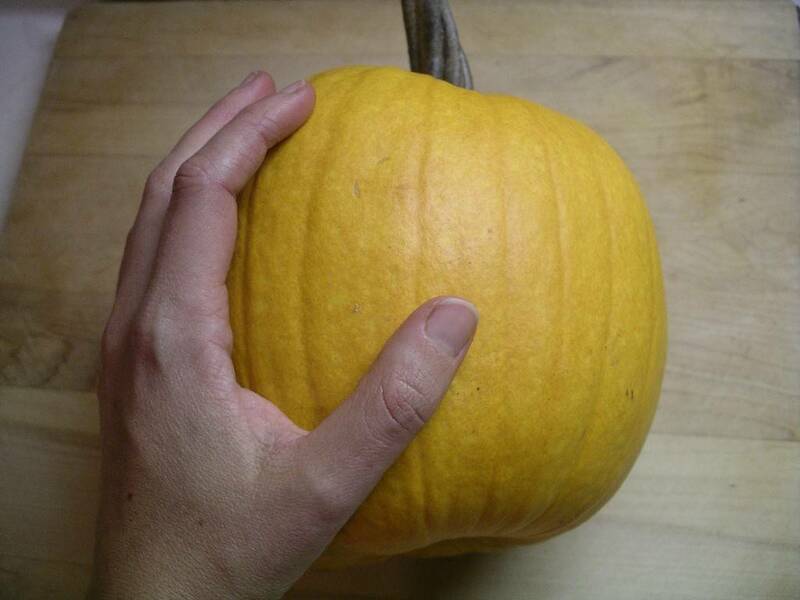 Photo taken with hand so viewers have perspective on size of sugar pumpkins. Not to be confused with Jack-O’Lanterns. 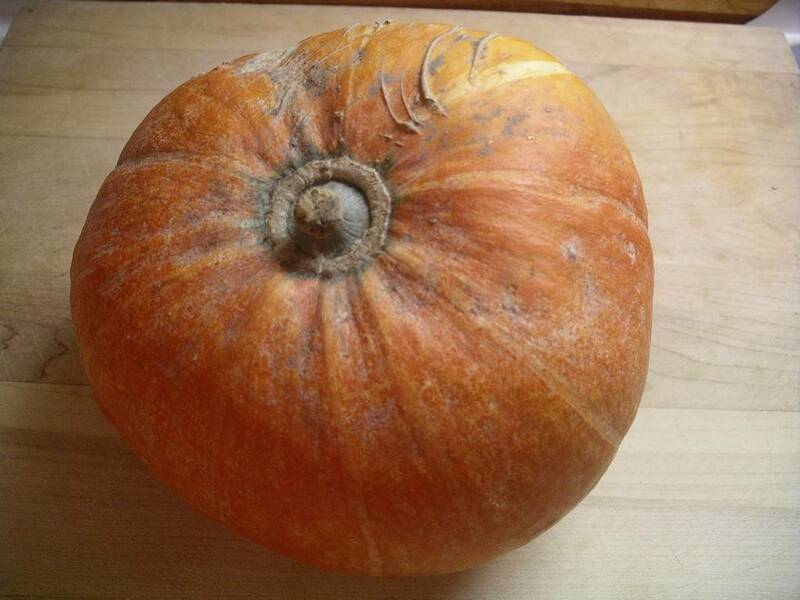 Pumpkins (sugar pie pumpkins, Rouge Vif d’Etampes, aka Cinderella Pumpkins) – mildly sweet and nutty, kind of watery compared to other squash, these are reserved for purees, which you can turn into pumpkin muffins, loaves, pies, chiffon cakes, and soup. Cut in half, scoop out and discard seeds, bake, scoop out flesh and puree. No need to peel and chop. Little Ones (delicata, sweet dumpling, sugar loaf, sweet potato) – always sweet, moist and delicious. These are best roasted whole or in halves, unpeeled, possibly stuffed, and scooped out directly from the shell into the mouth. Because of the thinness of the squash walls, if you peel these raw, there will be almost no flesh left. Others (butternut, acorn, banana, spaghetti) – of these, the only one I really like is banana. I know, a total surprise, but I have done the taste test for a number of years now. Banana squash is generally flavourful, sweet and moist, while the others often leave much to be desired. Acorn has a nice texture and mild flavour, but are hardly worth it for the pain of peeling the ridges. But they can achieve ‘worth-it’ status when baked with the peel on. Butternut used to be great 20 years ago, but has suffered from some kind of watered-down monocrop cultivation or something. I haven’t had a good butternut squash in years. Spaghetti – well, I’ve never liked it, but if you do, by all means, go for it. So, the results of the taste off! Delicata/Sugar Loaf (see Little Ones) – this is almost always the second-runner up. 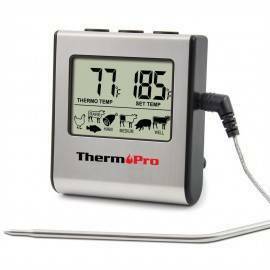 Bonus – they are the easiest to prepare. 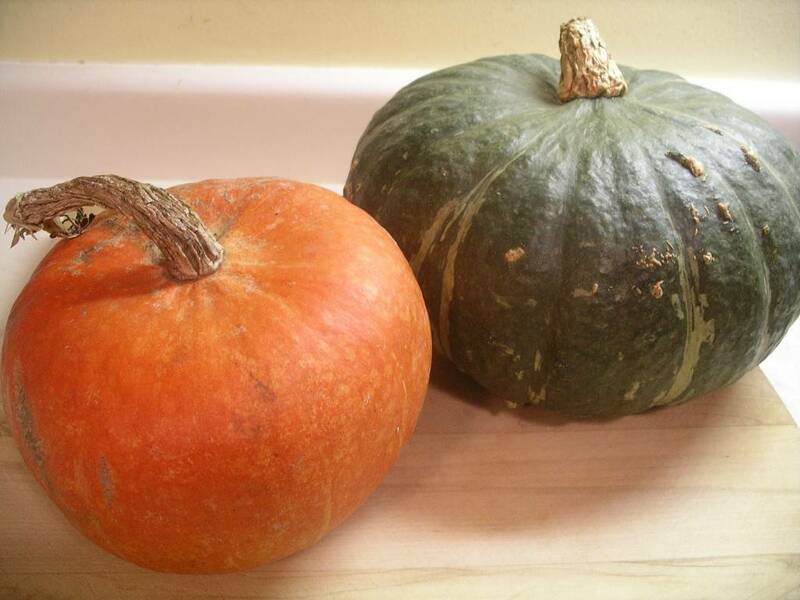 buttercup and kabocha – great great flavour, but a bit on the dry side – these would probably compare more favourably if I had steamed all the squash rather than roasted it – both are favourites of mine for soup and tempura. sugar pie pumpkins (this last was kind of unfair, because they are a bit watery and stringy compared with other squash in a plain taste-off, but they are truly excellent for baking, as in muffins and pies). And there you have it. The results of a three-year squash taste-off, for your eating pleasure. Next time: how to peel and chop a winter squash. 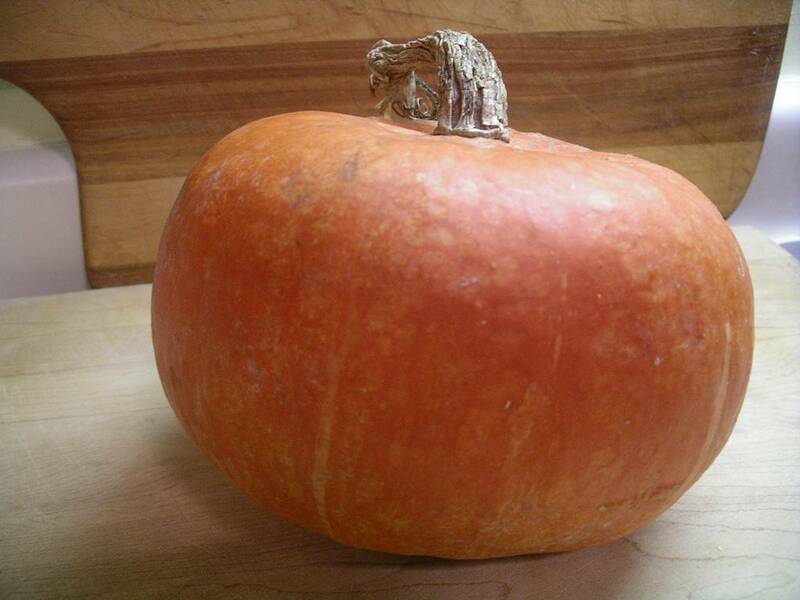 UPDATE #1 – I have been asked by a few people where to get Ambercup squash. Answer: you can get it at most of the farm stands throughout Saanich. Both Michell’s Farm on Island View and Dan’s Country Market on Oldfield Rd sell Ambercup. Thanks, Heidi! I gave up on “just plain eatin'” squash a few years ago because the effort didn’t pay off consistently, and this has caused me to reconsider. Thank you for taking the time to do this taste-off and publish the results. 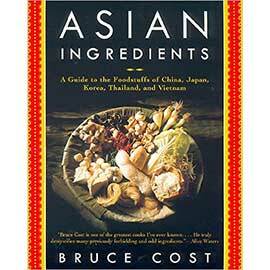 Very informative, and will inspire me to try some new varieties. It would be interesting to repeat this test in another month. Some of the big ol good ones need more time in storage to get to their potential. a real treat.I think they need time. But it’s good to know when to buy each variety. I was recently introduced to steamed delicata. No peeling required, just scrub, deseed and slice into half moons and steam. Really good paired with sauteed kale. Don’t know why, just was. 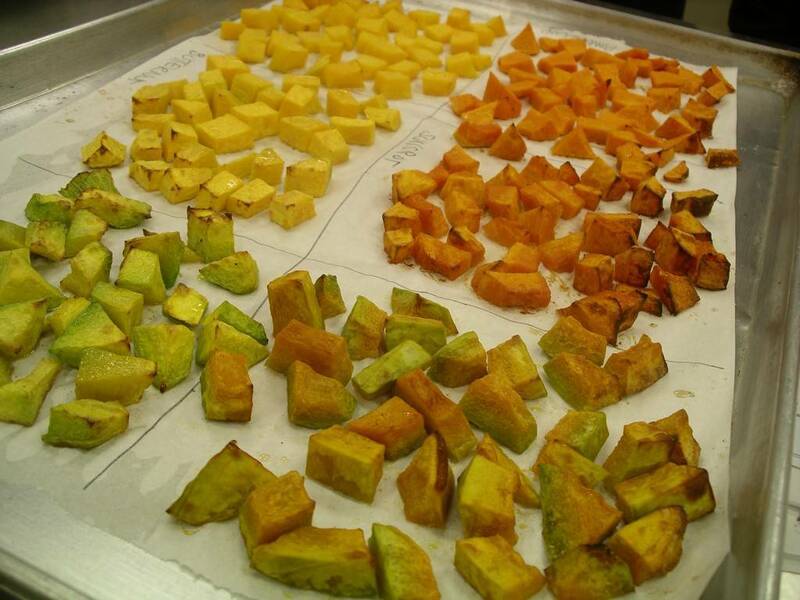 If you had to pick one squash variety, in terms of flavor, which would you choose? 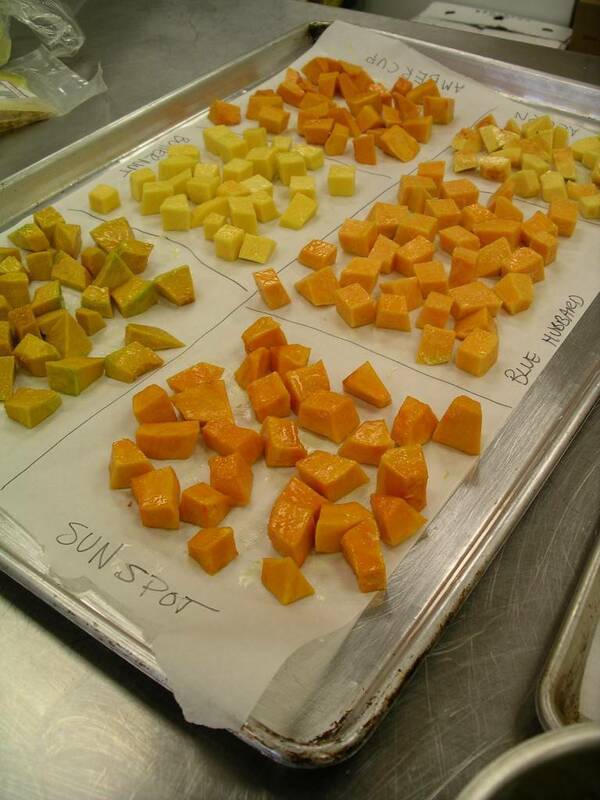 Hi Dwain, I like any squash in the ‘cup’ family: ambercup, buttercup, kabocha. what is pepper squash, I purchased one today at walmart and they look a lot like acorn squash, what do they taste like? woohoo for squash! I was happy to find this post via the FBC fb page because I came to love squash rather late in life (and therefore still have a lot to learn) I discovered Kobucha a few years ago and I always steam it, eat it with skin on, and usually make it into Thai-flavoured soup… I’m so happy to read these reviews of other squashes from my area and am now heading out to hunt for some Ambercup. Thanks Heidi! Will have to try ambercup. I find buttercup a bit dry and dense and thought ambercup would be the same. Two delicious Italian varieties you might like to try are Marina di Chioggia and Violina Rugosa Butternut (yes butternut). Local Motive Grower Co-op was selling them last fall at the Victoria Public Market. Chioggia is almost the texture of sweet potatoes (yams) and even better flavour. It’s supposedly used for gnocchi, but is great for baking and just eating (though quite soft). The outside is very knobbly so not one you can peel before cooking. 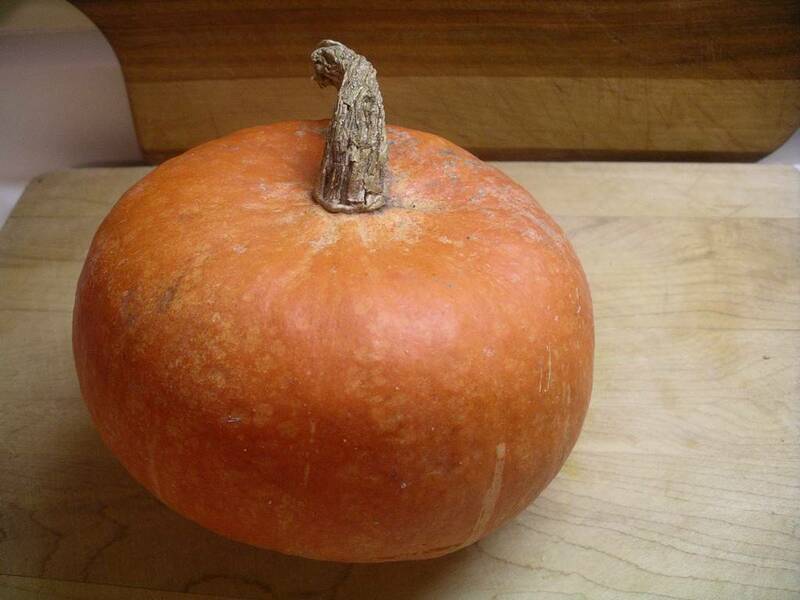 The butternut is firm and has excellent flavour and the solid neck is as big as the base so there’s a lot of “meat”. What is the best tasting open-pollinated squash, though. 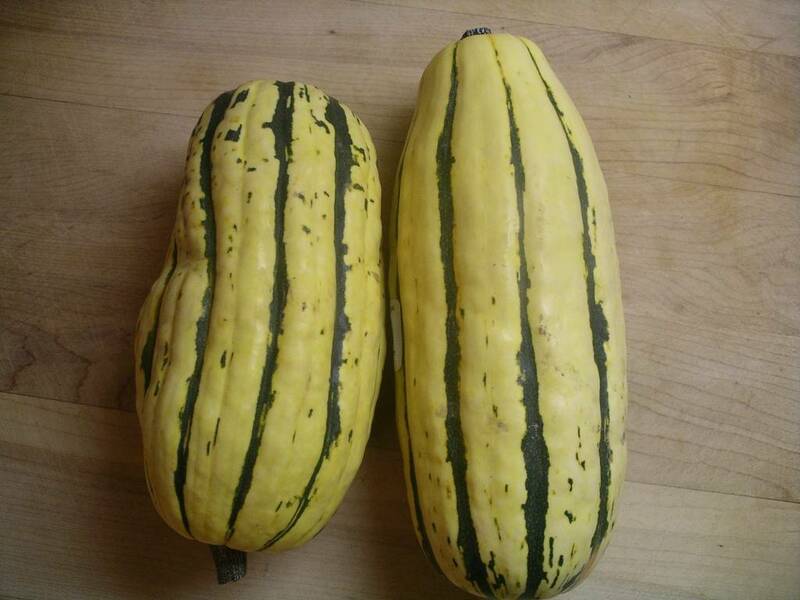 Long ago I read Delicata was on of the best, but I grew it and thought the taste was bland. I prefer a deep orange squash. 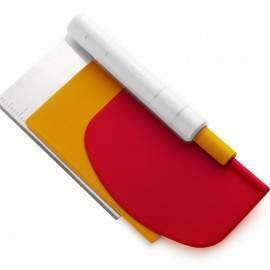 Red Kuri and crown prince are our favourites. Looking high & low for AMBERCUP Squash after reading an article from your area by a Chef and a Squash Bake Off for the Best Quash. Any way you could put me in contact with Mitcheles or Dan’s Country Market? Thanx for any help you can offer. Ambercup won but haven’t found any seed houses that carry them The articla ends up with the below listed Update. 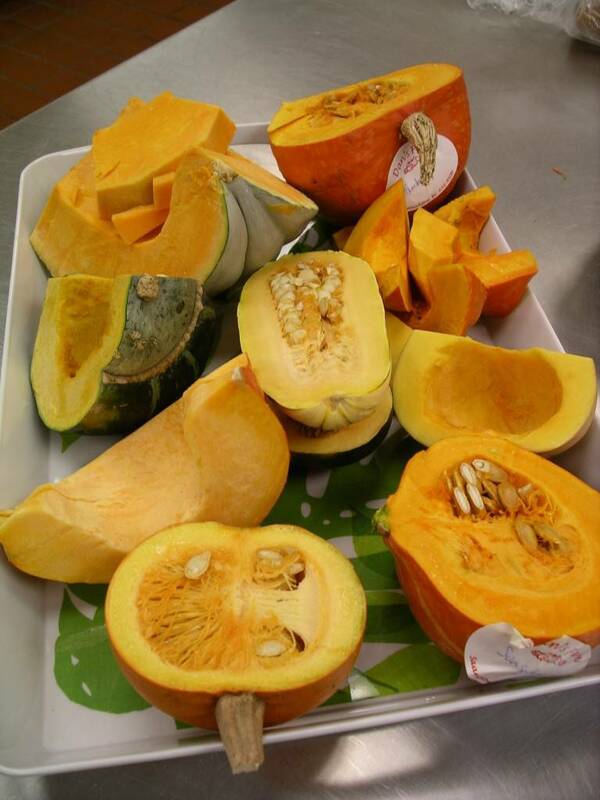 UPDATE #1 – I have been asked by a few people where to get Ambercup squash. Answer: you can get it at most of the farm stands throughout Saanich. Both Michell’s Farm on Island View and Dan’s Country Market on Oldfield Rd sell Ambercup. I like Buttercup and Table Acorn in their prime, which is not too often. The last several years I have become addicted to Delicata. I have given them away to other gardeners and they have commented (and/or started growing) it. Red Kuri and the Chioggia are liked and will test some more, although the Chioggia needs margarine and brown sugar. Yes, Delicata is amazing!! One of my favourites, as well.